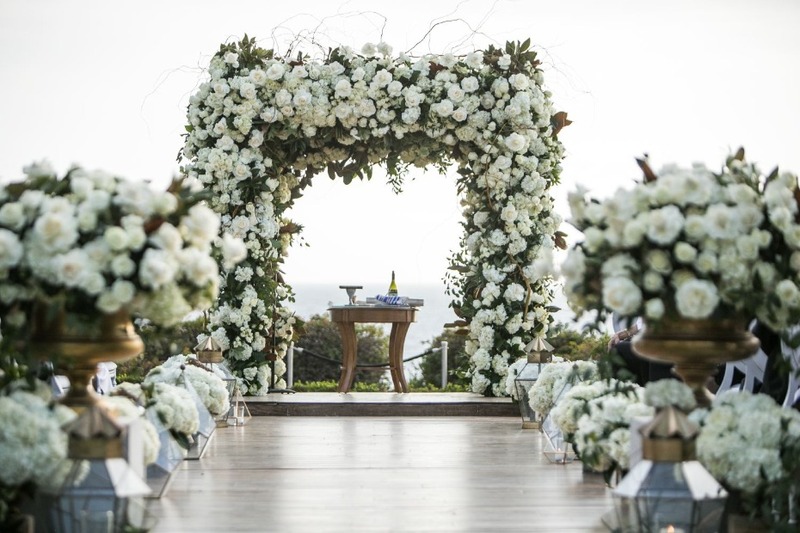 The color white is such a traditional wedding color there are tons of songs about white wedding days. 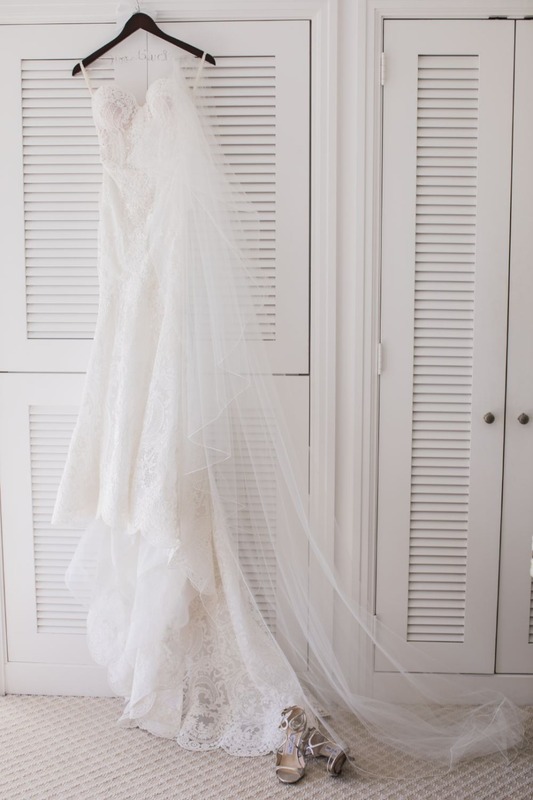 So why not lean into this color? 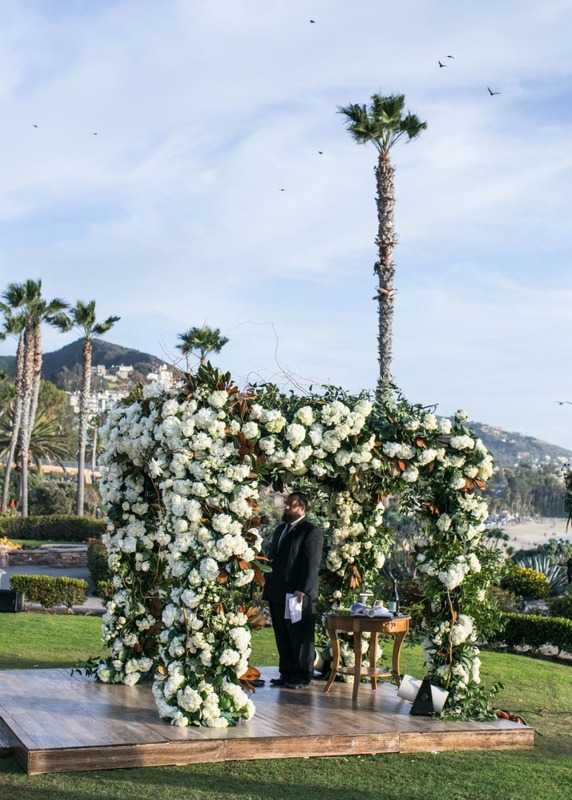 Romee and Jeff sure did for their Laguna Beach nuptials. 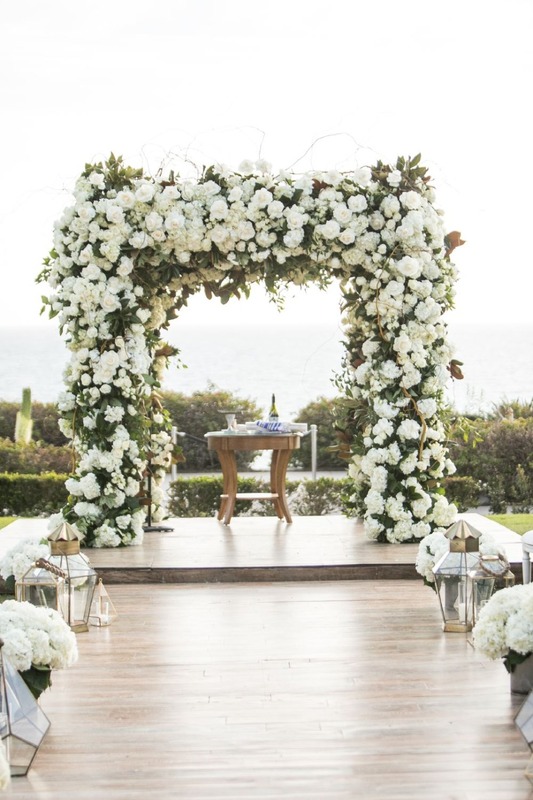 Not only did their wedding aisle look like the wedding party was floating in on fluffy white clouds with how many white florals lined it, but their entire reception was ALL WHITE! 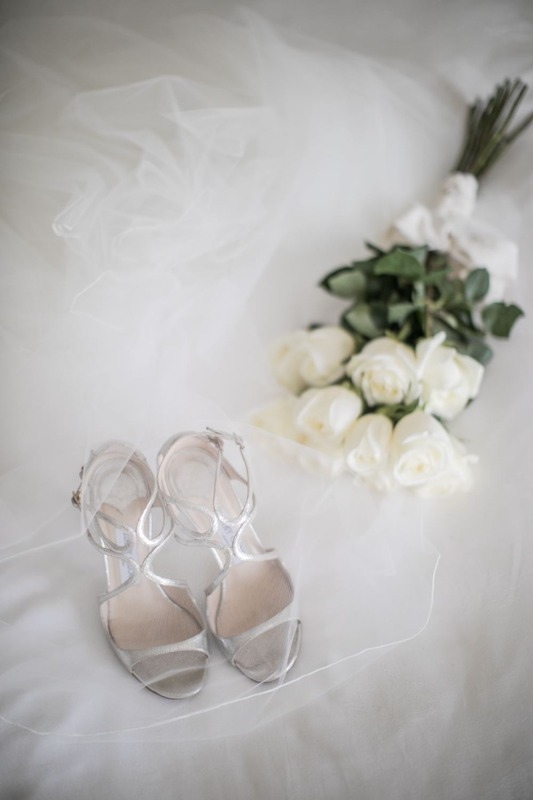 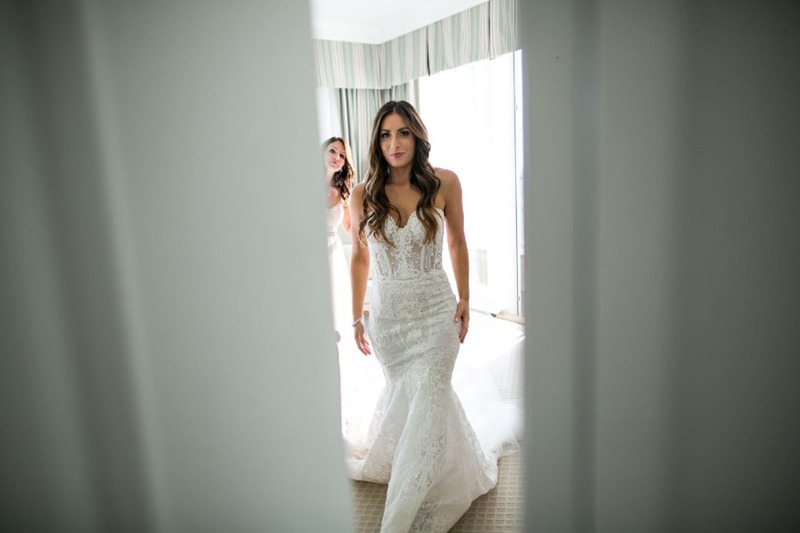 You are definitely going to want to see more of this lovely day, so just keep scrolling, and don't miss a detail with our full gallery of photos provided to us by the talented Samuel Lippke Studios. 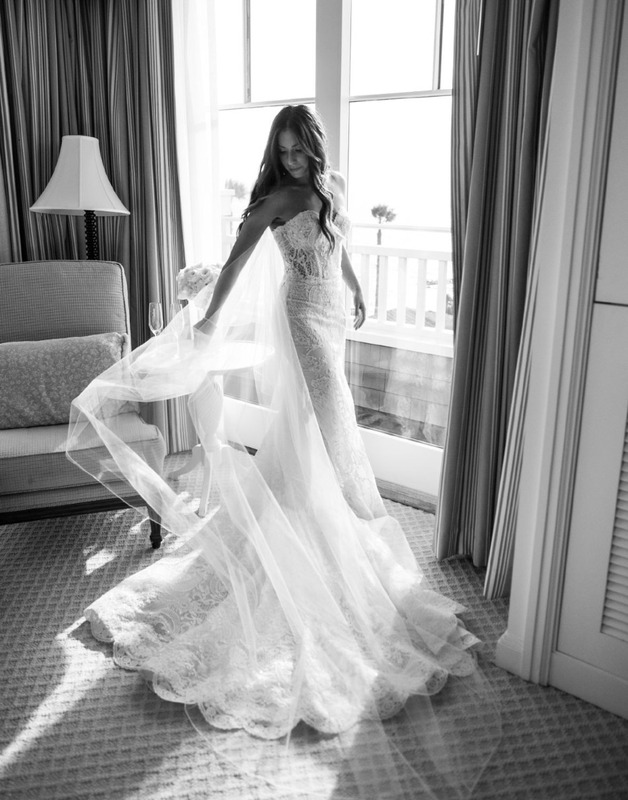 Samuel Lippke Studios had a lot of fun capturing Romee and Jeff's big day. 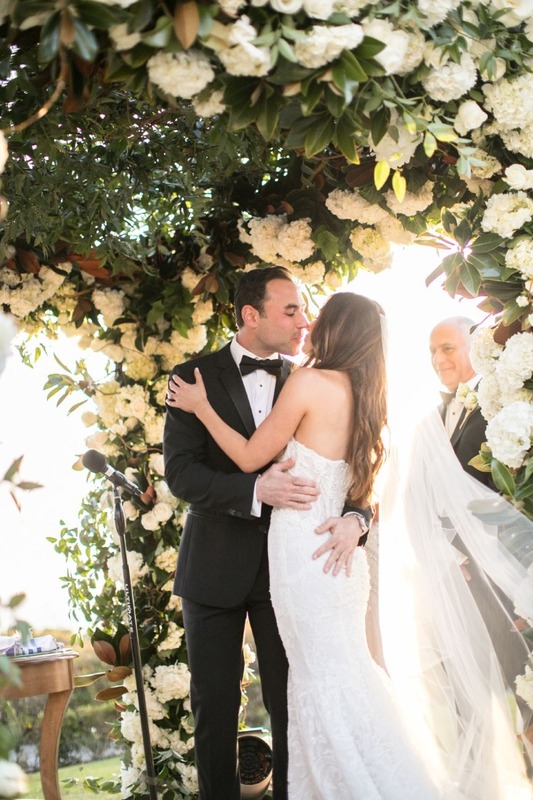 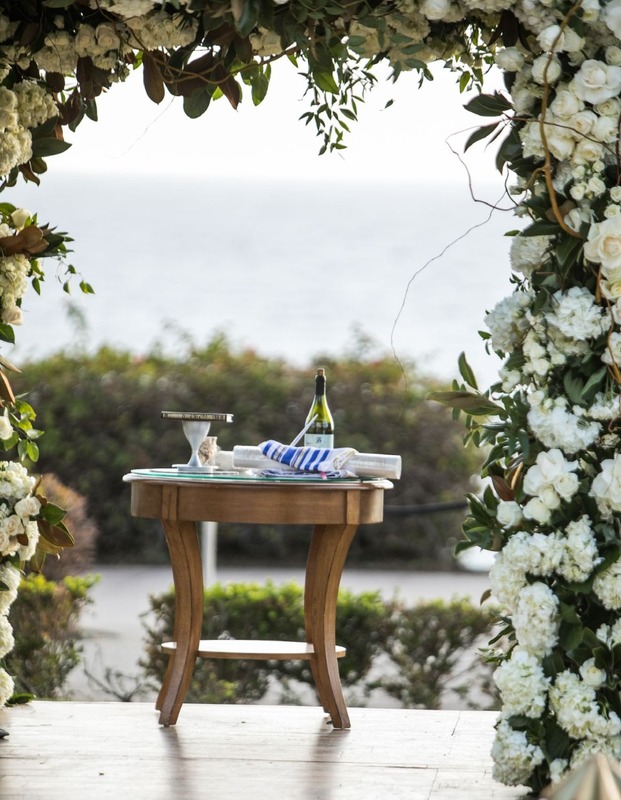 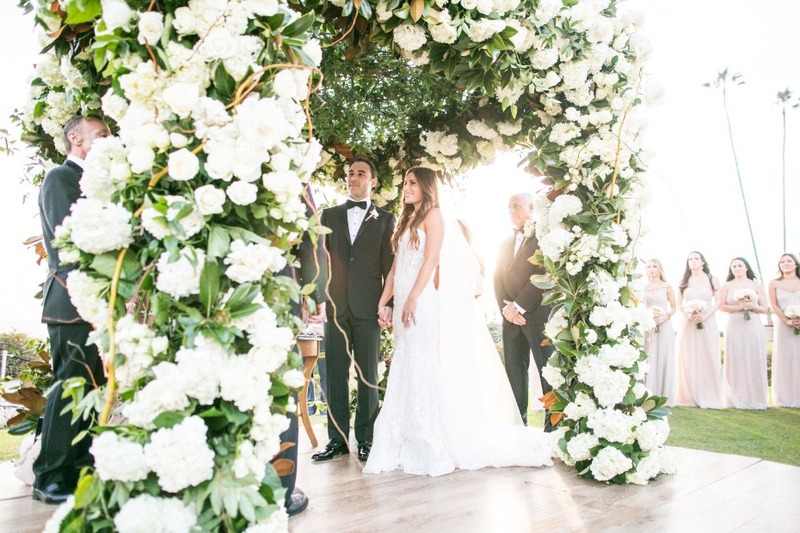 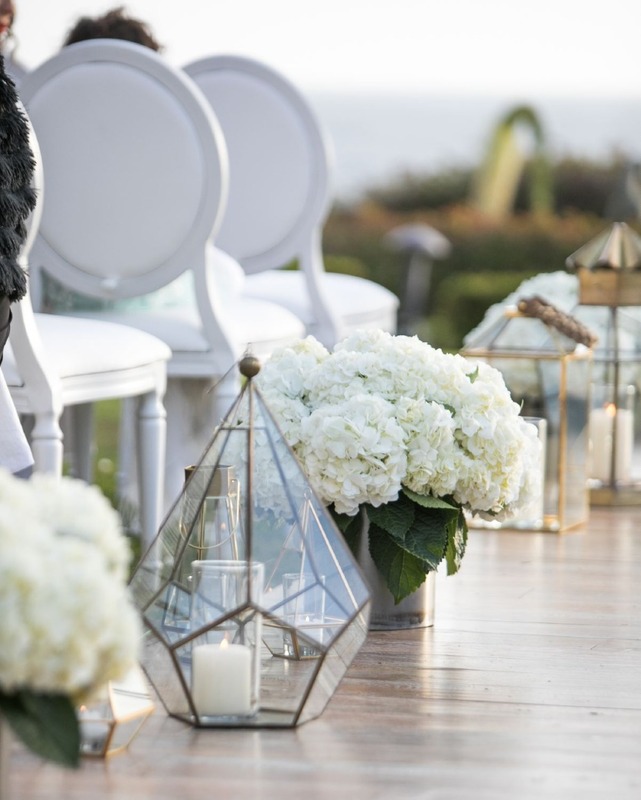 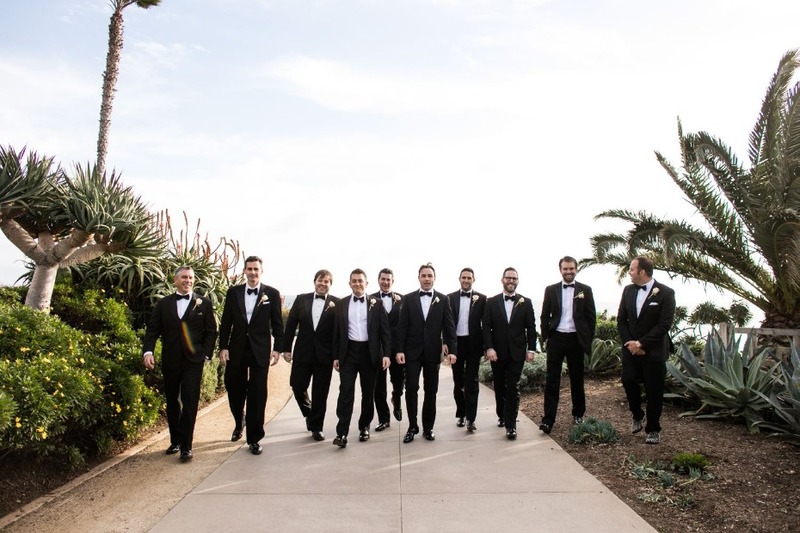 The stunning couple got married at Montage, Laguna Beach overlooking the Pacific Ocean. 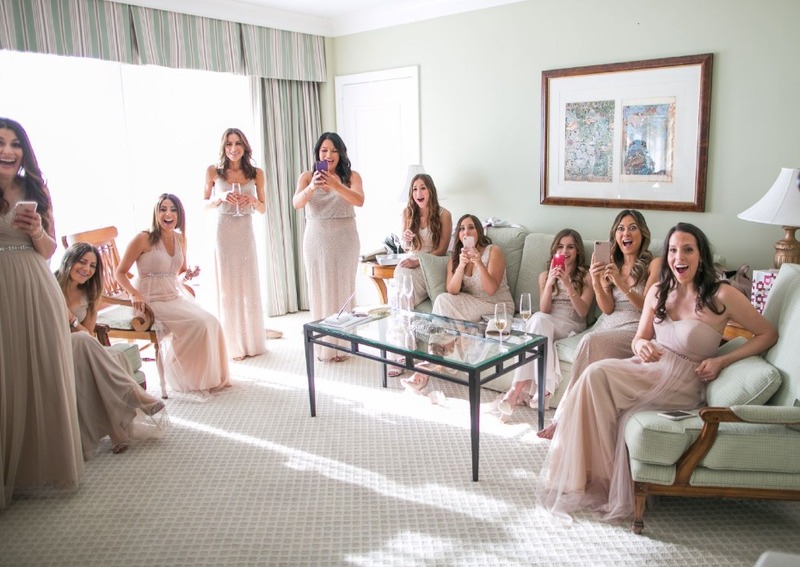 After Romee got into her gorgeous Galia Lahav wedding gown, she did a reveal to her bridesmaids. 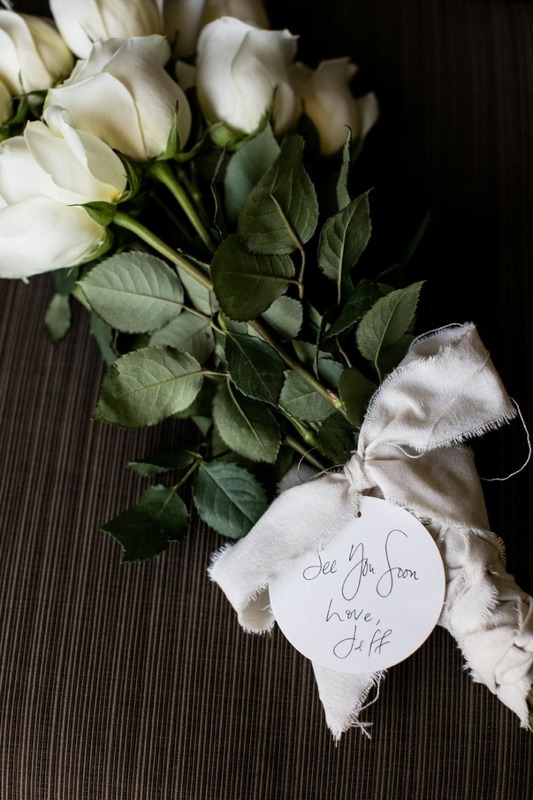 There were a lot of happy tears in the room. 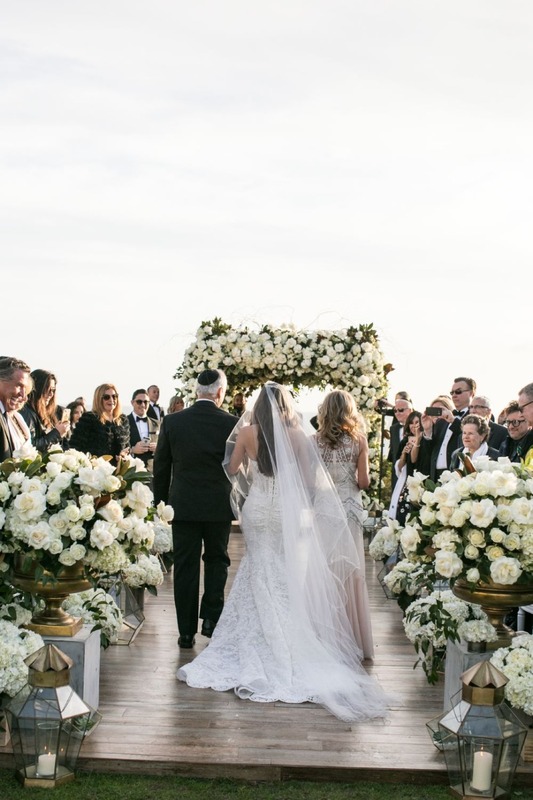 Newlyweds decided to see each other for the first time when Romee walks down the aisle and skip the first look. 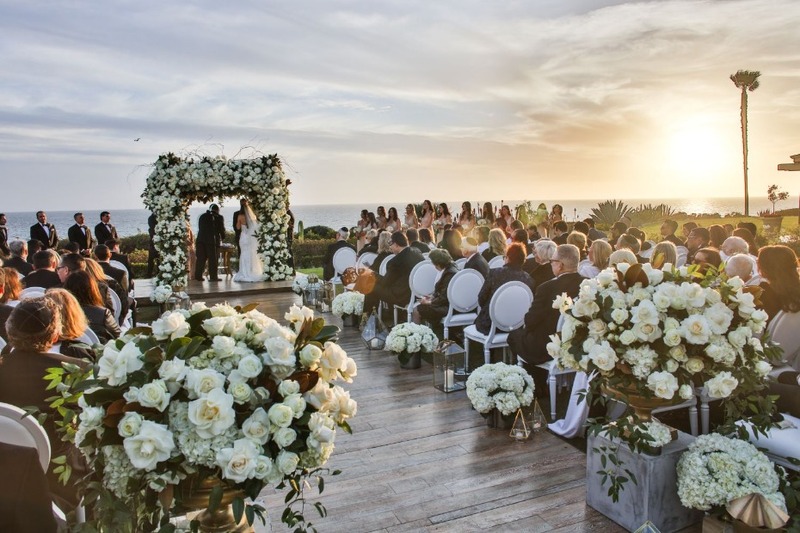 The couple said their vows in a very romantic ceremony as the sun was setting into the ocean. 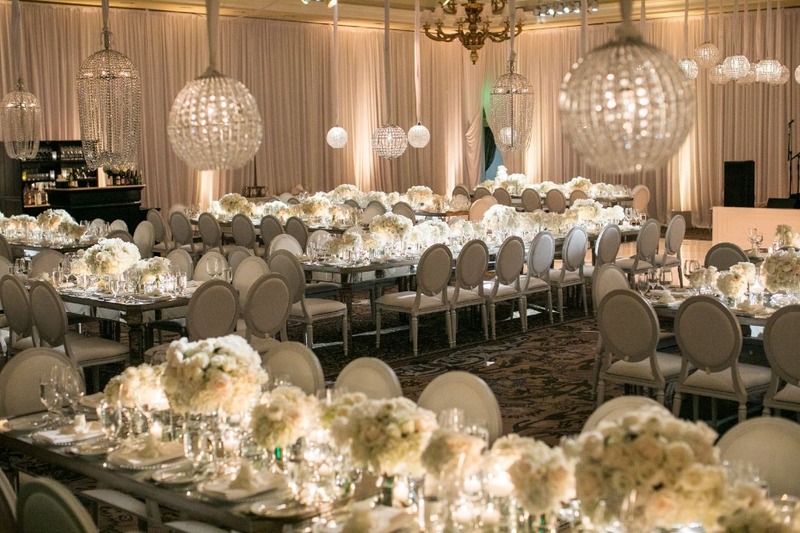 Celebrations continued in an all-white beautifully set ballroom with fun horah, sweet speeches and dancing late into the night. 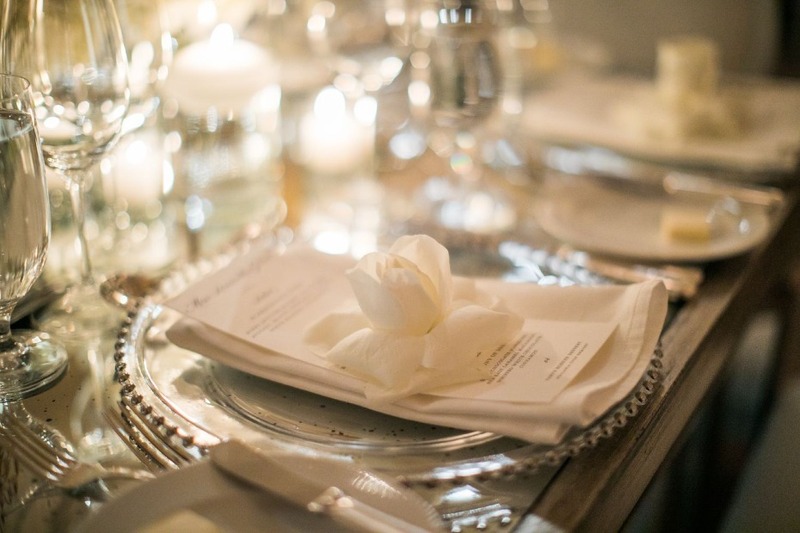 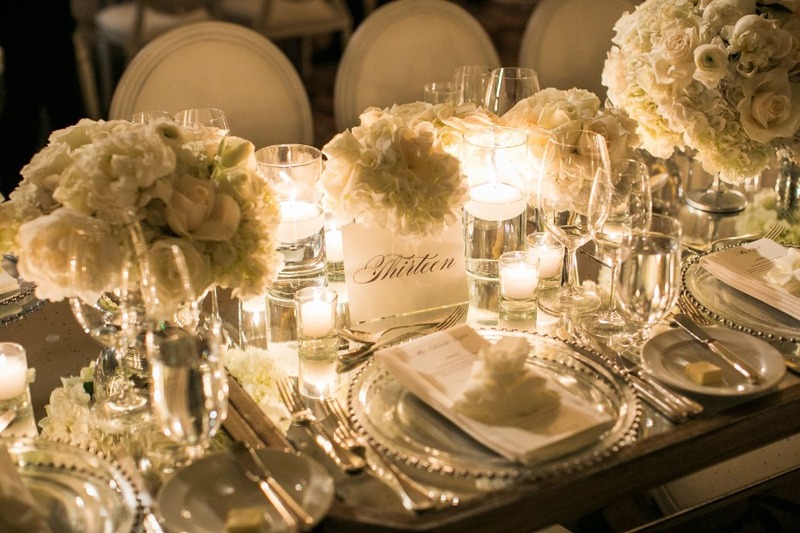 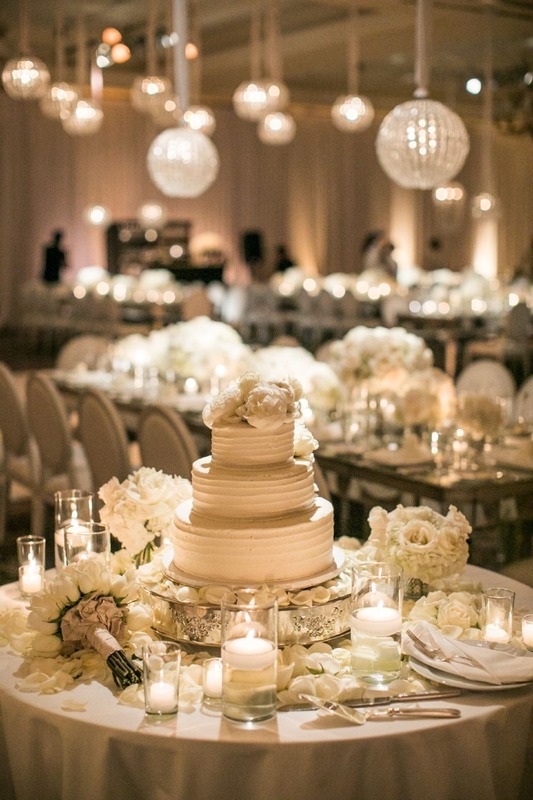 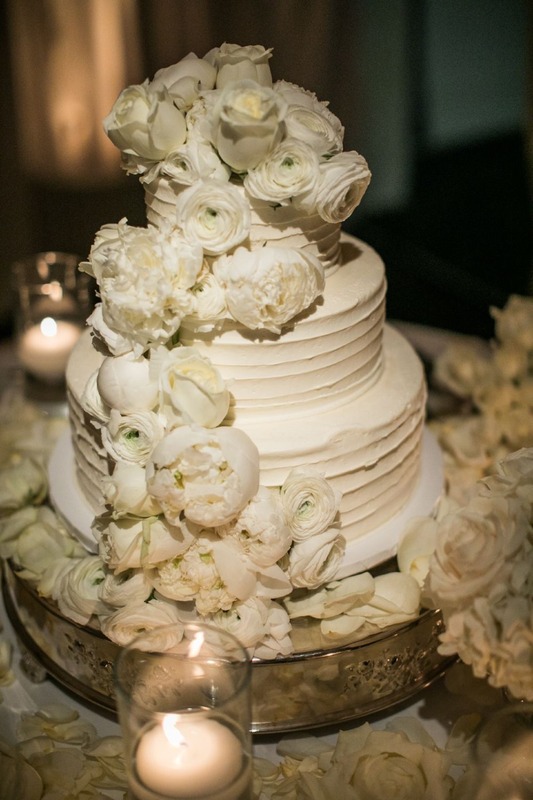 We love the details of their all-white reception. 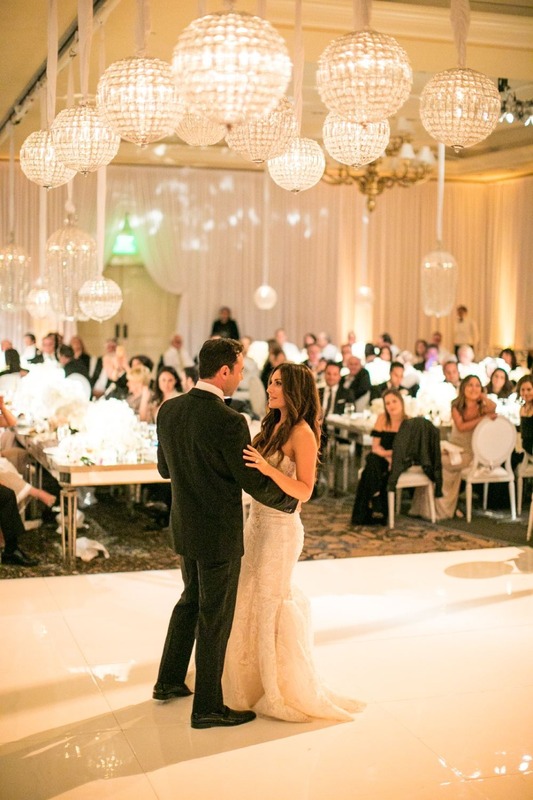 Look at those unique chandeliers! 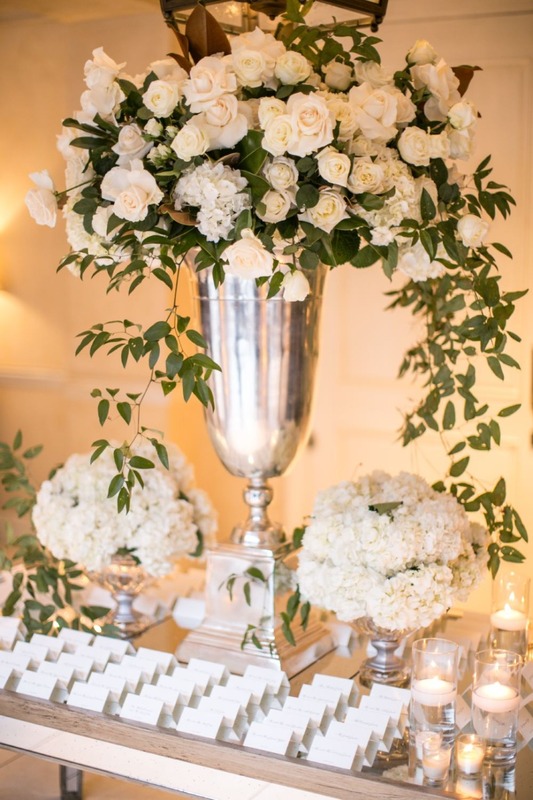 Samuel Lippke loved working alongside talented Beth Helmstetter and Hidden Garden Flowers.